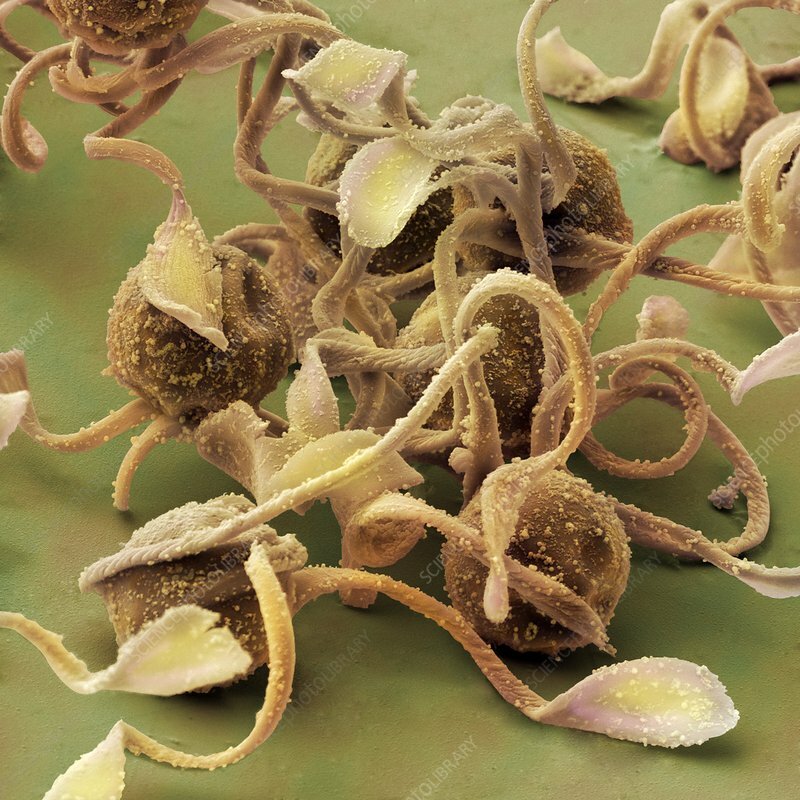 Horsetail spores (Equisetum arvense) coloured scanning electron micrograph (SEM). The tendrils or elaters as they are known, curl up around the spore in damp conditions but when dry stretch and straighten out. These movements can be repeated an indefinate number of times, setting the spores in motion as they expand and contract. Magnification x1090 at an image size of 10 cm.